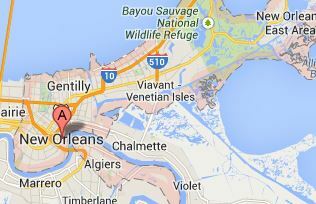 Welcome to the Big Easy – The Place for Easy, Affordable Forklift Training! New Orleans is the largest city in Louisiana, and a major economic center in the greater Gulf Coast region. One of the busiest port cities in the United States, the Big Easy is almost as famous for its considerable shipping activity and transportation activity as its world-renowned, legendary cuisine and Bayou culture! There are plenty of forklift jobs in New Orleans. But to qualify for the top-paying positions, you need forklift certification in New Orleans. CertifyMe.net has customized training packages (based on the type of powered industrial truck you operate) to help you land a rewarding career. Simple & secure registration. With easy, anytime login access. Comprehensive test material. Our forklift certification in New Orleans ensures you’re put to the test – literally – with a complete overview of OSHA safety procedures and other requirements. Printable certificates. Once you’re done with forklift certification in New Orleans, just print your certificate and you’re good to go! No waiting for paper documents in the mail. If you are considering whether or not to get forklift certification in New Orleans, one of the first things you want to know is how the pay check compares to other parts of the country. According to Salary.com, the median wage for an individual with forklift training in New Orleans is $33,194. This is a few six packs a month higher than the national average at $32,027. You can probably expect to be paid more than the median if you turn up with forklift certification; New Orleans is subject to the same OSHA rules as everybody else in the United States. But how far does this money go? The cost of living index, including rent, for New Orleans is 60.57. This basically means that it costs 60.57 percent as much to live in New Orleans as it does in New York City, the standard used in computing the index. A meal at an inexpensive restaurant will cost around $10, while a meal for two in an expensive restaurant will set you back $40. To work out what is meant by “expensive” and “inexpensive,” a meal at McDonalds goes for $7.50 (oddly enough, this is about a dollar or so more than in El Paso, Texas). Your quality of life, if you have forklift certification in New Orleans, is around 30 percent higher than if you lived in New York City. So, you are financially better off and your life will be more pleasant. So far, using your forklift training for a job in New Orleans seems like a good idea. New Orleans employers always need qualified forklift operators in the Big Easy. And with CertifyMe.net, OSHA compliance is easier than you might think! What is Forklift Training in New Orleans? With New Orleans forklift training, you will be mainly using a powered industrial truck to stack and retrieve supplies, goods, and materials. You may also be responsible for documenting and maintaining inventory. Regardless of your job duties, you’ll need forklift certification in New Orleans to operate a lift in the city. CertifyMe.net can get you started today with a training course that fits your job duties. Plus, we have other courses to help expand your overall safety knowledge and overall skill set. Sign up today with CertifyMe.net, and you’ll have a great opportunity for all types of forklift jobs in New Orleans. For questions about our New Orleans forklift training, give us a call at 1-888-699-4800.